Each year the famed Snowbirds participate in some 60 air shows across North America. Over the years they’ve flown more than 2500 shows and cultural events such as Canada Day celebrations. As many as six million people watchSnowbird planes fly annually. Additionally, the military’s demonstration team has been celebrated in books and on Canada Post stamps. Eighty Canadian Force’s (CF) personnel work full-time with the squadron and the military spends $4.3 million annually on flying costs for the Snowbirds. The CF plans to spend $755-million on a new fleet of aircraft for the aerobatics team. But, the Snowbirds do not contribute to the CF’s combat capabilities. They are simply, according to the Department of National Defence, an “important public relations and recruiting tool.” Recruitment and community outreach are closely intertwined. DND spends $10-$20 million annually on recruitment. The CF advertises on Xbox video games and Twitter, as well as bus shelters and Stanley Cup playoff broadcasts. 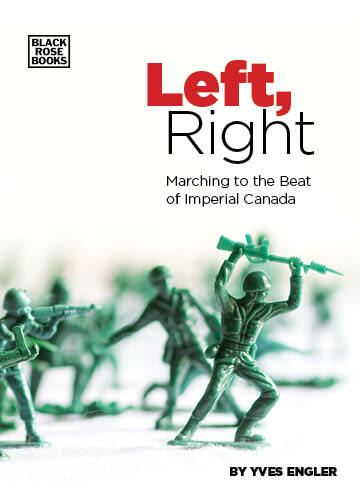 Describing it as “one of the primary windows through which Canadians view their military”, Lieutenant-Colonel Michael Goodspeed calls “recruiting advertising … the most powerful form of PR available to the CF.” Its “Fight Distress, Fight Fear, Fight Chaos—Fight with the Canadian Forces” recruiting campaign won a series of marketing awards in the late 2000s. As a member of the Canadian Forces, we count on your presence at the hundreds of activities we will participate in over the next year … festivals, ship visits, visits to schools, car shows, job fairs, air shows, sports events … Telephone your children’s schools or your grandmother’s seniors’ residence and ask if you and/or your unit could be of help planning a Canadian Forces Day event or setting up a Remembrance Day program. In 2010-11 the CF admitted to spending $354 million on public relations and related military commemorations. Six hundred and sixty-one staff members worked on this effort. According to another 2011 report, the Department of National Defence’s Public Affairs department had 286 staff. Public Affairs Officers’ write press releases, organize press conferences, monitor the news, brief journalists, befriend reporters and editors, or perform various other media-related activities. A large proportion of the news stories about the military are based on CF statements and events. Ottawa also celebrates specific wars and battles. Recently, the government spent millions of dollars to commemorate the 100th anniversary of the Battle of Vimy Ridge. In 2012 the federal government launched a $28 million initiative to commemorate the 200th anniversary of the War of 1812. Commemorating “glorious” wars can boost the CF’s standing. Bruised by the long and unpopular war in Afghanistan, the CF sought “several positive, proactive communication opportunities” to shore up its image. According to an internal file Canadian Press uncovered, the military had “plans for commemorative activities, including a series of World War I events”, which were to receive millions of dollars of CF money through 2020. Alongside specific war commemorations, the federal government spends tens of millions of dollars on war monuments. Ottawa is home to a National War Memorial, Korean War Monument, National Victoria Cross Memorial, Veterans Memorial Highway, National Aboriginal Veterans Monument, Boer War Memorial etc. There are more than 7,500 memorials registered with Veterans Affairs’ National Inventory of Military Memorials. The Snowbirds’ recent troubles are a small setback to the government’s massive cultural outreach. It’s time, however, for a concerted challenge to this unbridled militarism.